"Influencer's sharing economy from Japan Influencers and SNS users from around the world can publish, discover, reserve, or sell inflationary the information of “social network media sharing economy” about acquisition / PR ambassador matching, on the Internet, mobile phone or tablet. PATRON (Patron) is a highly reliable marketplace that can deliver all at once to LIVE. Influencers and SNS users around the world will be able to post, discover and book social media sharing economy information on the internet and mobile tablet. 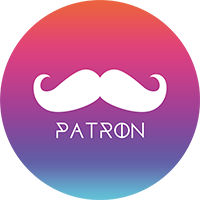 PATRON is a highly reliable marketing place of influencers’ sharing economy, where the influencer's SNS delivery frame are tokenized utilizing blockchain technology." Patron ICO, Pitch / Founder, CEO Atsushi Hisatsumi in San Francisco.